These days flashlights are all over the place and getting lured-in by some of the hype is easy. 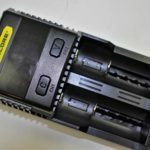 In this post, I’m bringing to the surface the biggest mistakes made by flashlight buyers, which will hopefully save you time, money and unnecessary frustration. So one day you realize your flashlight isn’t doing its job and you need a new one. You do a Google search for “LED flashlights” hoping it will guide you in the right direction. This is your plan of attack because, A) you don’t really know what you want, and B) you’re hoping a general search will give you some ideas. Entering such keywords brings up a wide variety of results. Depending on your buying habits the search displays a mixture of reputable sites, and “others” that offer a wide selection of products. Amazon is a trusted source for many… myself included! So it would seem natural then that Amazon would be among the top results. I think you’d expect that whichever link you click, you’re going to find a variety of products. So for the sake of argument, let’s say you go with Amazon because, A) you know you’ll get good service, B) you know you’ll get a good selection, and C) you expect to find a reasonable price. Of course once you’re in there, and you do the “basic search”, the results can be overwhelming. Large lights, small lights, and prices ranging from $10 to $80. Now, if you try to narrow the search, perhaps by price or customer rating, a entirely new selection may appear before you. So there you are, dozens of products and lots of choices, all just a click away! So what do you focus on first? Price or star ratings? If you do, let me be the first to explain to you that putting trust into either, is one of those biggest mistakes made by flashlight buyers! 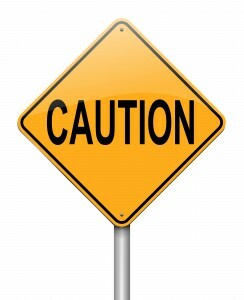 Let’s examine why each is a dangerous search filter. Generally speaking, any flashlight product that offers “what sounds” to be a fantastic deal (and usually $20 or less) is not worth even HALF that. 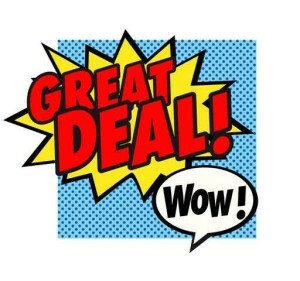 The products included in “the deal” are low quality and do not present themselves accurately. 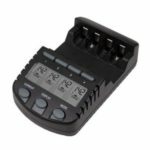 An excellent example of this are 18650 lithium batteries. To find out what I mean by that, please refer to this post. The other problem within these deals are the flashlights themselves. They too, are extremely low quality. Now, you can argue that people should know “you get what you pay for”, but what fools the majority of potential customers are the claims of performance made by the sellers, and the fact that the products themselves are well camouflaged to “look” just like their higher-quality cousins. This also comes down to experience. 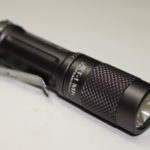 Very simply, those who’ve used LED flashlights in the past, or have a current collection, are well versed as to what quality looks like and what features are possible at a certain price-point. Those who’ve NEVER bought one before, or whose experience goes no deeper than an ordinary Maglite, will be easily fooled. So to explain this further. “Average Joe” gives his new $15 flashlight kit a rave review, including five stars. He says “it’s the brightest light I’ve EVER seen”. He says when he shines it out the back door “it lights up the whole yard!” Is there a problem with that statement? Yes. 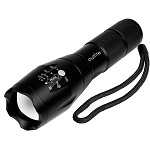 Chances are, the flashlight “AJ” is raving about is a “focusing head” or “zoom” flashlight. His statement is inherently false. The fact that the lens moves back and forth to create either a full or narrowed-beam effect, means that when it’s in full position, a large portion of light is all around you. That’s called “spill”. As you focus the head and the beam narrows, you lose all the spill, so you end up with a longer reaching (funneled) beam that can pinpoint a target. “AJ’s” statement is wrong because when in “full” position, the beam only reaches up to maybe 20 feet in front because the light is all “spill”. Then when it’s focused, every bit of spill has gone. So there’s NEVER a point, no matter what position the head of the flashlight is in, that he can ever see his “entire back yard” unless the LENGTH of his yard is 20 feet or less! Understand? And just for clarification, this explanation ONLY applies to “focusing head” flashlights. In addition to beam performance, “AJ” has also praised the lights’ output as “the brightest I’ve ever seen”. Well, the problem here, is that 95% of the time, a less than $20 flashlight will advertise incorrect or purposely exaggerated output ratings. When they claim 800 lumens or higher… they’re lying. Typical output is usually about 300 lumens. Even if it advertises at 1200, 1600 or 2000 lumens……… it’s STILL 300 lumens!!!! The problem regarding AJ’s “brightest ever” statement a few lines back, is that he’s not familiar with flashlight lumens. This isn’t his fault… he’s just not had experience with many, (or any) LED flashlights, and as a reviewer of a product, he’s not knowledgeable as to whether the product is performing as described. Does that make sense? He “sees” bright light coming from the device. But, he doesn’t understand the difference between 100 lumens or 1000 lumens. The light is delivering less than HALF the advertised output, but he doesn’t know it! In short, he’s had NO experience with LED flashlights. He’s commenting on a level of advertised performance that he has NO understanding of! He sees much brighter light than his previous incandescent lights could ever offer, therefore virtually ANY output looks impressive (whether it’s accurate or not). Then, if that isn’t enough, other lies are sprinkled throughout the product description. They claim it’s “tactical”… but it’s not. They also claim it’s suitable for camping etc., but it’s not impact resistant or waterproof. 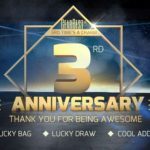 What should you take away from the five star reviews? 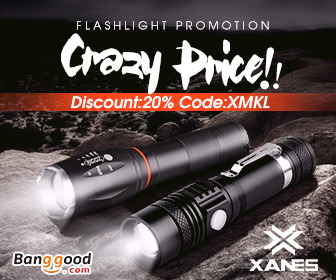 Just know that if they’re a flashlight newbie, they’ll say things like “super-bright” … “best flashlight ever” … “can’t beat this deal” … “best value for the money”… etc. Believe it or not, it’s the three star and under reviews that are the most useful. 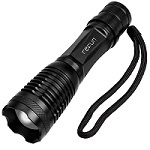 It’s not that those reviewers are more experienced than the others… although, SOMETIMES they are, because on occasion, someone who already owns a few flashlights will buy one of these, and when comparing it to something better, is when the truth is revealed. What you need to realize is that bargain-priced flashlights are VERY poorly made. The LED’s they use, although normally of quality, are in many cases factory rejects. The unit is assembled poorly, sometimes without key components! A heatsink (used to control heat buildup) is often missing. The advertised type (and make) of LED (usually CREE) is sometimes REPLACED with an inferior brand! These lights have a tendency to not live up to their owners’ expectations. And in many cases, the owners who left a glowing review, (perhaps several months ago) are NOW experiencing problems, but DO NOT bother to update the five star review and downgrade it to something less. Here are some actual reviews by actual buyers of cheap flashlights. I’m also identifying the light they’re talking about. Take special note of a “common theme”. There are many more for the E6, just like this. “Was working great until it fell out of my pocket when I leaned over (dropped about 3 feet). Now it won’t turn on. In product description it says LIFETIME BREAKAGE WARRANTY, so logic says this should be covered/replaced. I cannot locate where it says how to return or replace. When I click on return to Amazon, Amazon says it falls out of the 30 return policy. When I click on Outlite, it takes me back to the product description. “Did not work right out of the box. Whether I put in the rechargeable battery or the battery pack, the light would turn on but I could never turn it off. These negative reviews for the A100 go on and on. Lots more negative stuff to say besides this. And once again…more negative reviews follow those. This is just a sampling. The flashlights that I have focused on here are just the tip of the iceberg! There are DOZENS more EXACTLY like these. Even though they have different names, they’re basically one and the same. A flashlight mold was created and tons of merchandise, much of it crap, is the result. The point… is that these are poorly made products. It’s also true that EVERYTHING you buy online is not without some degree of negative . But even when taking into account the number of reviews left for the average flashlight product, these have higher than average negatives. Obviously there are many, many positive reviews too. There would have to be, because if the reviews were ALL negative, they’d never sell another unit. But with the positives, you have to take a few things into account. So, What’s One of the Biggest Mistakes Made by Flashlight Buyers? 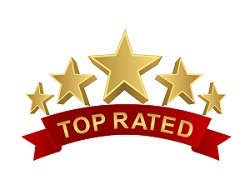 They go online to where massive amounts of products are available, possibly searching by a mix of the number of positive reviews, and the lowest price. A deadly combination! I understand there are problems with a lot of products. It doesn’t matter what you look to buy, whether it’s a light bulb or a household generator, it’s going to have mixed reviews. But, for some unknown reason, hand-held flashlights have been a target for scammers for a while now. 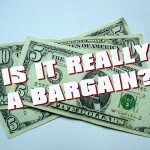 It’s only human nature to want to pay less and get a good deal on stuff. I get it, and I do the same thing. But, I’ve also learned why LED flashlights are the one exception to the ‘oh it doesn’t matter they’re all the same’ way of thinking. And it’s about time other people realized that as well. Go to my Product Review page if you need to. READ the reviews and take special note of the BRANDS on that page. They are trusted and they stand behind their products. If “flashaholics” can trust them… then so can you. Was one of the biggest mistakes made by flashlight buyers helpful? If so, please let me know! Or by all means… ask me a question in the space below. I LOVE my flashlight and so does my husband! It’s awesome & we’ve had it for several months. I will say that my son says his eats up his batteries real fast. He threw away the rechargeable battery! But, as I said, we’ve had NO problems. What kind of flashlight is it? What’s the brand? And why would your son throw the rechargeable battery away? Does he enjoy wasting money or was it not charging properly? 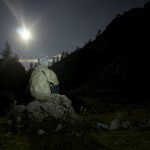 Great article…..Holy crap what a waste of time, so some jackhole wrote an article basically calling people dumb for buying a flashlight online. I thought this article would have actual useful information on selecting a quality flashlight instead it’s just a self absorbed, “I’m smarter than you” rant about inferior products based on internet reviews. I wasted 5 min of my life today…. I’m sorry you had a negative reaction to this post! It was definitely not intended to come across as a self-absorbed rant, but merely to illustrate the truth’s as to WHO buys lower-quality flashlights, and why. And where did I say I’m smarter than anyone else? It is undeniable that anyone who has a long history of experience with a particular line of products, is going to make a more educated purchase than someone who doesn’t. I’ve been buying LED flashlights for 20 years, and have followed the advancements in technology throughout. Meanwhile, someone who bought their first Maglite a few years ago and is only JUST seeing the new rash of generic lights today, is obviously not going to know much about what they’re buying. Cheap Chinese knock-offs are everywhere in the electronics world. This is reality. It’s unfortunate though that the flashlight industry is one of those technologies that’s been flooded with poorly-made clones, and targeted to consumers who have little knowledge of what they’re buying. I’m sorry if my point was not clear. I found it informative and helpful. I completely understand the points you are making. I appreciate your comment! Thank you very much. Thanks BR Wilke, excellent article, especially as you clearly weren’t looking to use your expertise as an opportunity to advertise an affiliated company or their products! Unfortunately when anyone with subject matter expertise posts an informative and well researched article such as yours you will often get your ‘keyboard heroes’ who are quick to criticise but never offer anything else of value! 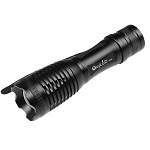 As a potential purchaser of a mid range quality flashlight but novice to which products to select from I was hoping that you might be able to review and rate a few products in the areas of low, medium and high quality. As far as reviews go, I try to look at a broad range of products which I hope is helpful. But what ultimately gets reviewed, is often dictated by the products that are offered. Let me know if there’s anything specific you’re looking for. Thanks for your input. And I hope you’ll share your unfortunate experience with friends.